Your car’s glamor is all about the exterior look it holds. The color of your car is more like your personality and style. Some love dark colors like black glossy texture, dark blue and dark maroon. There are others, who love the light color tone of a car. So, it clearly shows that your car’s color definitely holds a special position in your life. Now, it is time to check for the ways, you can keep your car’s paint intact. You can wash your car on a daily basis to clean it from the dirt and dust and then just wipe it off. But, no matter how much you try, someone carelessness might cause a scratch on the car’s body and can ruin its look completely. During such instances, it is important for you to learn more about the centers offering car paint repair and the types you can procure from there. Now, before you jump right into the conclusion of taking car paint repair for your car, it is important to learn more about the common paint problems, which you might be facing right now. 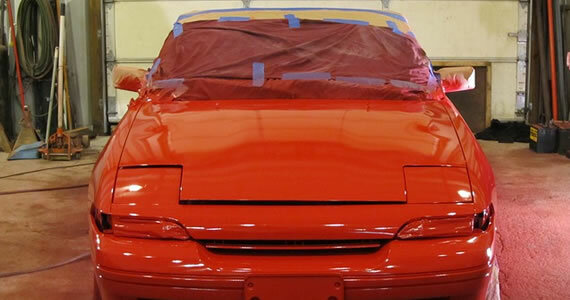 That way, you will know when to go for the car paint services from authorized centers. Die black is an issue, which is to be treated as soon as possible. It is that time when the paint loses it gloss just after its application. Bleeding is another common factor to take care of. In this segment, the original shade fades with time and you need to recheck it. Sometimes, small bumps are deposited on, in and under the paint film. If your car is suffering from any of these, then it is better to be treated as soon as possible. Fish eye is another point to consider. It is the tiny surface finish blemishes, which will resemble more like popped paint bubbles on your car. Sometimes, the colors might give rise to dry spray. It is more like a textured rough surface, mostly confined to a small place and needs to be treated as soon as possible. Orange peel is another time when you might have to think about going to a car paint repair center for help. It is also known as the uneven form of surface formation, which gives rise to an orange peel-like texture. Sometimes, the issue with car paint is so petty that simple touch up can work magically. For this kind of car paint repair, there are some simple steps for you to consider over here. You do not even have to visit a repairing center or ask an expert for quality help. There are some spray cans available of the same color as that of your car. You can buy it and just touch up those spots, which have faded color spots. That can work well for you. There are some companies, offering correction pen. These products look like pen and should be used in that same manner too. You can just rub the nib of these pens on the affected spot and voila! Magic will take place immediately. There are some paint bottles available at some reputed centers. You can use a brush and just paint the areas of your car, which need some paint treatments, and that’s it! These are some of the simple alternatives available to consult an expert for car paint repair. But, these steps are only applicable if the issues are petty enough and you can resolve it on your own. If you cannot, then calling experts is the only way to be out of your trouble. Many people own older cars that are outdated and don’t run well. They need to be fixed up and often times completely restored before they can be safely taken on the road again. Fortunately, it’s possible to dust off your old car and turn it into an impressive hot rod. To transform your vehicle and allow it to stand out on the road, there are a few important steps to take. 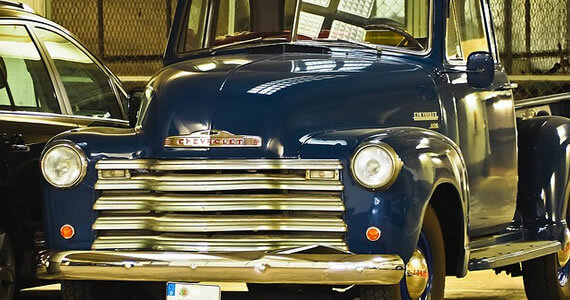 Many older cars are in poor condition due to a number of dents that are present on the body. Pop out the dents or hire a professional to perform paintless dent repair. This will require that the existing paint is removed before pulling the dent out and filling it with body filler. Priming the body will then need to be performed to protect the metal. The body of your old car will need to be repainted to allow it to stand out and look new again. 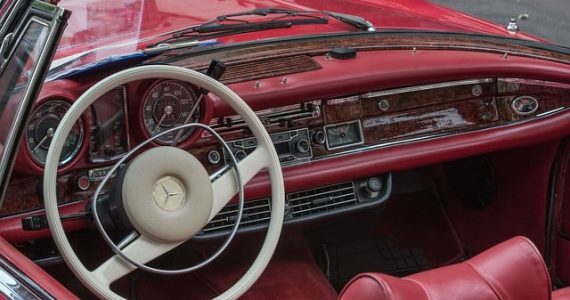 Consider choosing a classic color that is commonly used on vintage models, which can include bright red, mint green, or yellow. This will require that rust will also need to be sanded off before new paint is applied. Repainting your car will give a new, fresh, and sleek look as you turn it in to your dream hot rod. Take out each seat in the vehicle to examine it for areas that need to be repaired. If the material on the seating is too damaged, it will need to be reupholstered if cuts or gashes are present. Stains that are present can be cleaned by using stain removers or a mixture of water and dish soap. Does your old car still run? If it doesn’t it could be any number of things on why it is not. If you have to replace the engine, you might as well replace all of the old parts in your car. Keep in mind that this route can cost you a lot of money when it comes to restoring your old car and turning it into a hot rod. 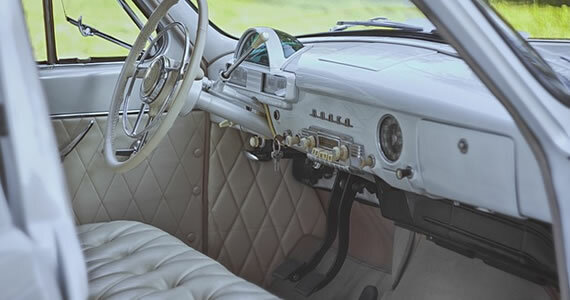 You’ll need to inspect the vehicle to determine which parts are old, outdated, and no longer work anymore. Make a list of exhaust pipes or brakes that need to be replaced for items that you can purchase through companies like Reggie’s Garage. It’s just as important to restore the engine as it is to increase the look of the car. Clean it up and check the oil while replacing belts, spark plug wires, and radiator hoses that are old or have become damaged. Have it inspected by a professional and take it for a test drive to ensure that it runs well. By taking the time and energy to fix up your old car, you can transform it into a hot rod and feel confident in the vehicle while on the road. With the right steps taken, you can make an investment that allows you to own a vehicle that increases in value over the years. Everyone likes an old car that keeps running great for years after its first use. For some car owners, it is better to have that new coat of wax than that new car smell. But what do you do when your old friend is getting long in the tooth, and seems more bound for the scrapheap than your garage? The concept is simple—when your car stops working, get it repaired. Do it yourself or hire a mechanic to get the work done. There are plenty of guides available to help you find the right repair professional. Doing your research is necessary to avoid running into any scam. If you know your information, you will avoid paying thousands of dollars more than what the car is worth. At the least, learn about basic auto repairs—what needs doing and how professionals should be doing it—along with the average costs of each repair. Routinely inspect the large components for signs of obvious wear, but don’t neglect the little things either. There aren’t extra, back-up parts on your car, so each is important in its own way. List each part in order of importance, starting with the engine. 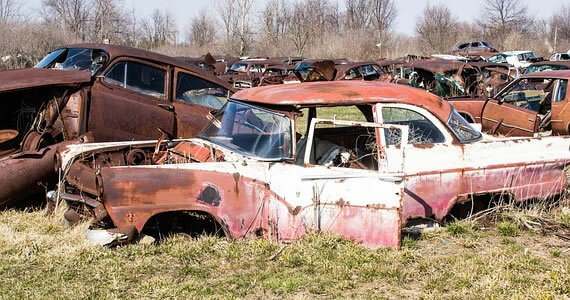 If you really care about an old car, you will consider having these inspected regularly and replaced if necessary. When you make repairs, rethink paying more than what your old car is worth. Research the average costs of the repairs and replacements before you visit the mechanic. Before you make repairs, find the right parts for your car. Make sure that the parts match the car because buying the wrong size is just a waste of money. The cheaper, more convenient option is to choose old parts. You can either visit a u-pull-it or pick-apart scrapyard to find your parts. In major cities, there is usually a handful of yards, like U Pull & Pay, to make selections from. Buying new parts is a little more sophisticated. You have a wider range of products to choose from online. The costs are higher, but the quality is guaranteed to be high. Another reason to buy new parts is to get a shiny look for your old car. Contrary to what everyone thinks, an old car is not totally useless. You can still drive it around and use the parts like you did in the past. It may be a little rusted, but that rust is repairable. If you care about an old car and all of the memories you’ve had with it, you would continue to care for it. Do whatever you must do to keep it out of the scrapyard.